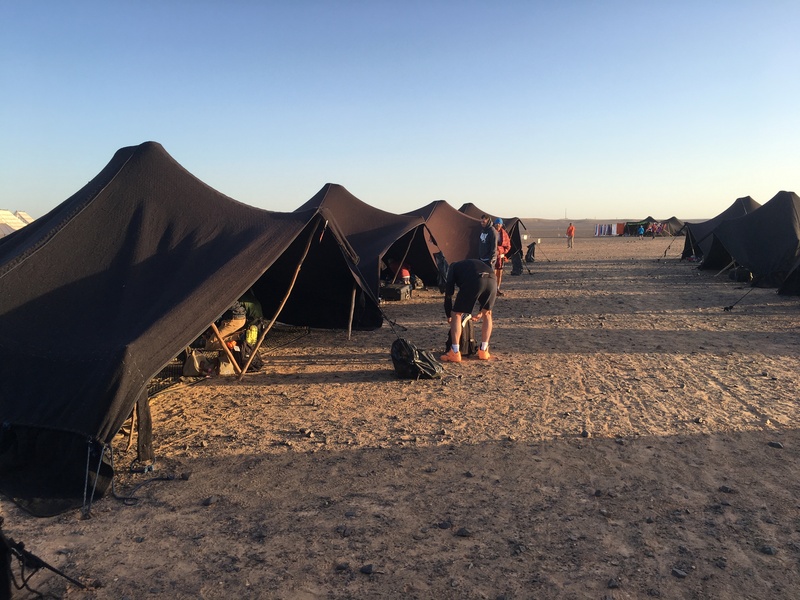 They say this was the hardest Marathon Des Sables (MDS) to date. The distances were longer, the percentage of sand far higher, and we were unlucky to have strong headwinds for the first two days. But this is not what I remember most from the MDS 2016. 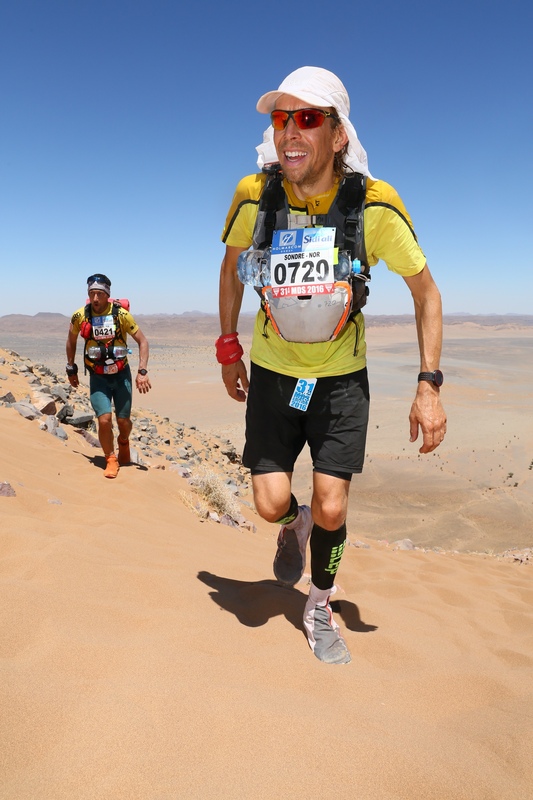 For me, the most memorable moments were to run thru the dunes with Rachid El Morabity, Abdelkader El Mouazis, Aziz El Akad and Samir Akhdar – the incredible Moroccans! 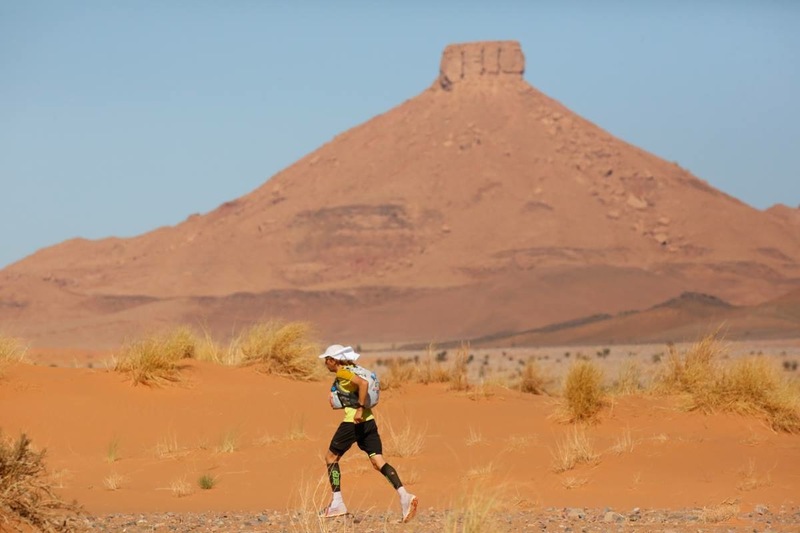 The Marathon des Sables is a foot race, open to runners and walkers, with several stages, free style, and with food self-sufficiency over a distance of about 260 Km. Each participant must carry his/her own backpack containing food, sleeping gear and other material. My journey to the Marathon Des Sables started in February this year. I was fortunate enough to spend a week in the desert close to Zagora in the southern part of Morocco. I was with Luchine and Samir Akhdar in addition to a lot of other good french runners. During this week, I spent a lot of time running with Samir. 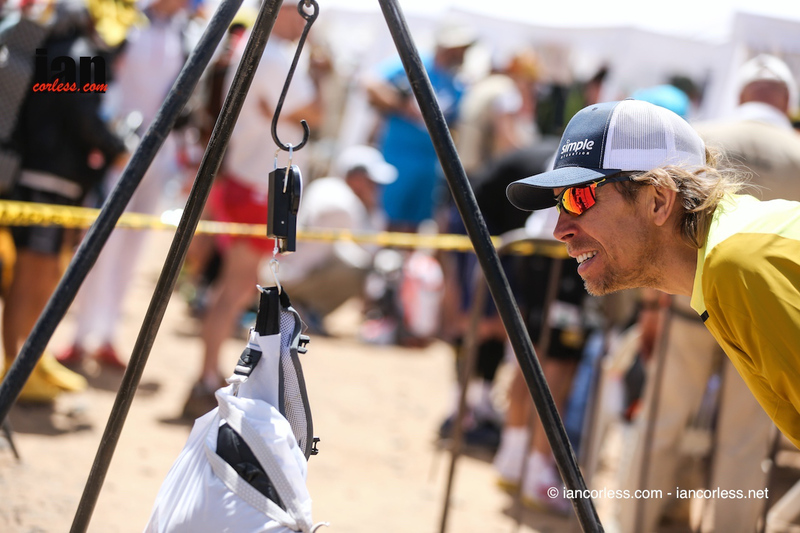 He is such a nice guy and also a very experienced desert runner (he has nine MDS finishes). Samir taught me how to navigate thru the dunes and how to «attack» every little pile of sand. He also gave me some insight to how the Moroccans work as a team. 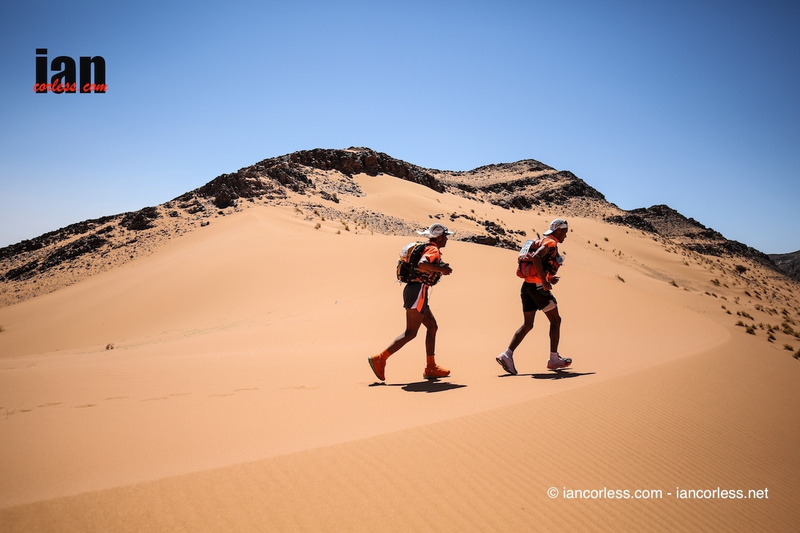 Then, fast forward to April 10th and the start of the 1st stage of the MDS. Two days before, we had been dropped off in the middle of the desert in Ouest Erg Chebbi. I was very nervous, but also extremely happy, to finally start the race. Three kilometres into this first stage, we entered the Erg Chebbi dunes, one of the largest sand dunes in the Sahara desert. I knew that the Moroccans would run as a team, so I followed Samir like a shadow. And sure enough, after a couple hundres metres of sand running, all the Moroccans waited a couple seconds so that the front runners could continue straight into the dunes. Then, Samir and Rachid and the Moroccan team took a sharp left turn and went their own way. I joined them and got a lesson of desert running that I’ll never forget. They run so fast and so smooth that it looks like a they’re running on a singletrack trail. Sometimes they split into two flanks in order to see where the best route is. Then, they communicate back and forth so that they can all benefit from what turns out to be the fastest way out of the dunes. After eight or nine kilometres of running in the dunes, I had to let the Moroccans go. I couldn’t keep up with their pace. But that was fine. I decided to find my own pace and eventually settled into a good rhythm and finished in 9th position, 23 minutes behind the leaders. The pattern from the first stage repeated it self for the rest of the race. I started each stage pretty fast, ran with the Moroccans for a while and then re-adjusted my pace for the rest of the stage. I didn’t wear a GPS-watch, not even a stop watch, so I had not a clue of the pace or the distance. The only thing that I focused on, was how my body felt and how I adapted to the heat. I eventually ended up in 9th position overall, after being in the top 10 on every stage. I never had a very long «down» period where I felt horrible. I felt that I ran as fast as I could on every single stage, but I also saved a little bit of energy and effort for the next day. My only low point came at around the halfway point on the long stage. Since I am better at longer (ultra) distances, I had decided to push a little extra on the fourth day (85km). I was running in fourth position for a long time, but I did push too hard in the heat of the day. I had to pay for this between 55 and 75 km where I suffered a bit. I tried to drink a lot of water and eat as much as I could take in, but that didn’t help much. But after two toilet stops I started to feel better again. I also think it helped that the sun set and it got a little cooler. I ran the last ten kilometres in an OK pace without completely emptying me energy stores. The «next day and the next stage» is so crucial in a stage race. For me personally, I started preparing for the next stage as soon as I crossed the finish line. I went straight to the water post and got my ration of water. Then, I walked to my tent and started preparing lunch (dinner on the long day). I had a recovery drink while I waited for my couscous lunch to heat up. The time between lunch and dinner was mostly spent in my tent with Altra teammate Jason Schlarb. Jason and myself finished all the stages at pretty much the same time, so we spent tons of time together in our tent. After Jason, it normally took an hour or three before the rest of our tent-mates arrived. Jason and I had dinner together at around eight o’clock and went to sleep just after 9 PM. None of us slept very well, but we normally started the next day with breakfast at around 6 AM. After a light breakfast it was time to put the shoes on and prepare for a another day in the desert. The tent camp. Eight in each «tent». In all honesty, the tent was more like a tarp. The MDS regulations require every runner to have at least 2.000 kcal every day. I had way more than the minimum requirements. I guess I ate nearly 2.800 kcal per day on average. Homemade muesli (oats, nuts, chia-seeds, coconut,goji-berries) for breakfast with dried (full-fat) milk. Also a fruit and nut bar (Larabar). Water during the race, in addition to a couple gels (Huma+ and vFuel) and some bits of a Snickers bar. Recovery-shake from SIS just after finishing every stage. Couscous with peanuts, vegetable bullion and garlic powder for lunch. I then snacked on nuts and dried fruits in addition to nuts/fruit bars (Larabar). 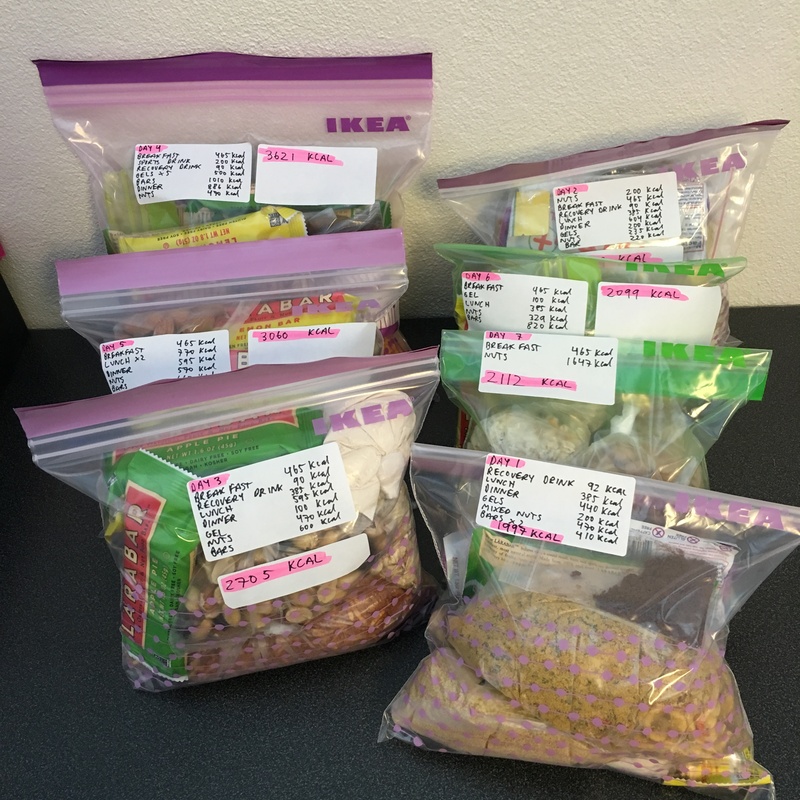 Freeze-dried dinners from Mountain House. Even though I am normally eating a plant based diet, my dinners in the desert included some chicken and full-fat dairy. The reasoning for this is that I couldn’t find plant based dinners with a high enough calories to weight ratio. I brought some zip-lock bags that I used for heating the couscous and dinner. This worked perfect! I just put the bags in the sun for an hour or so and then ate out of the bag. Simple and lightweight – didn’t need a cooking pot or Esbit for heating water. I added some Snicker and Larabars after this picture was taken. So, all in all I brought quite a lot of calories. Honestly, all my gear worked perfectly. 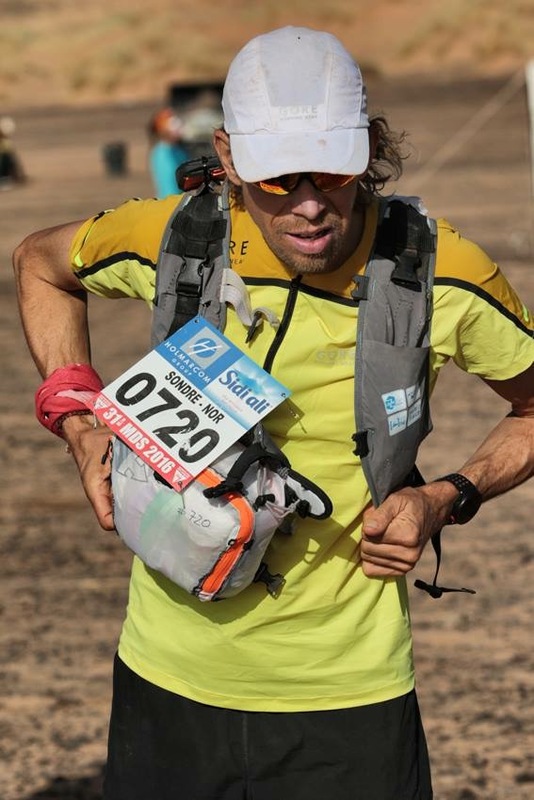 I would not change anything if I was to run the MDS again. My only «mistake» is that I brought a pair of pants that I didn’t use on the first two stages. I therefore handed in these at the beginning of the third day. I also tried a slik liner the first night in the desert but handed that in before the kit check. The only thing that I missed was a proper sleeping mat. In my next adventure, I will bring a small piece of foam, just enough to give me comfort from my hips to my shoulders. 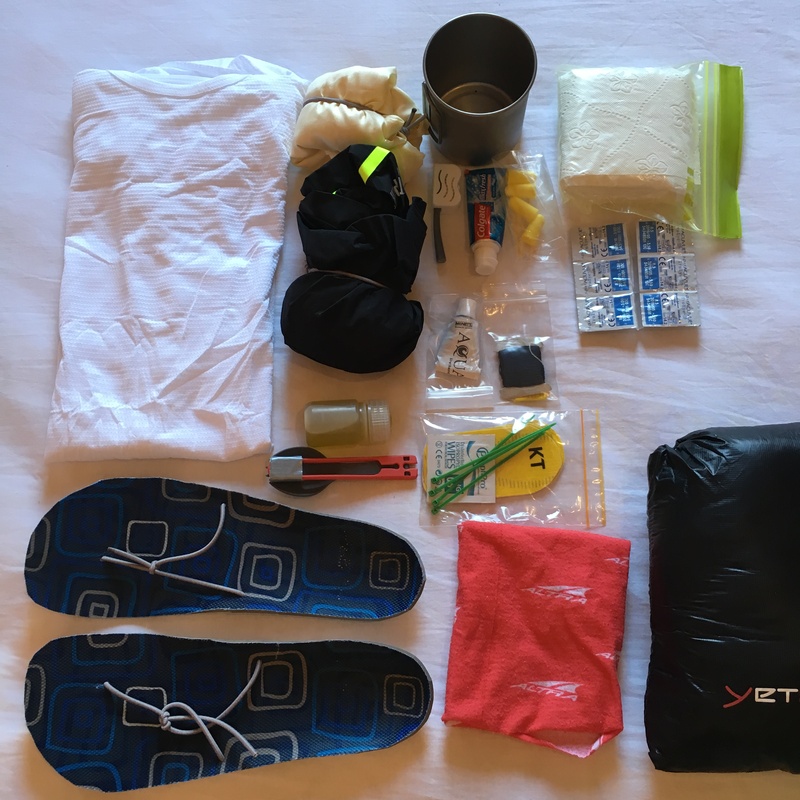 My luxuries in the desert: I handed in the silk liner before the start and the pants from Gore Running Wear after the third day. I was so warm at night that I slept in just a base layer from Gore Running Wear. I did not bring the olive oil (in the middle of the picture) either. 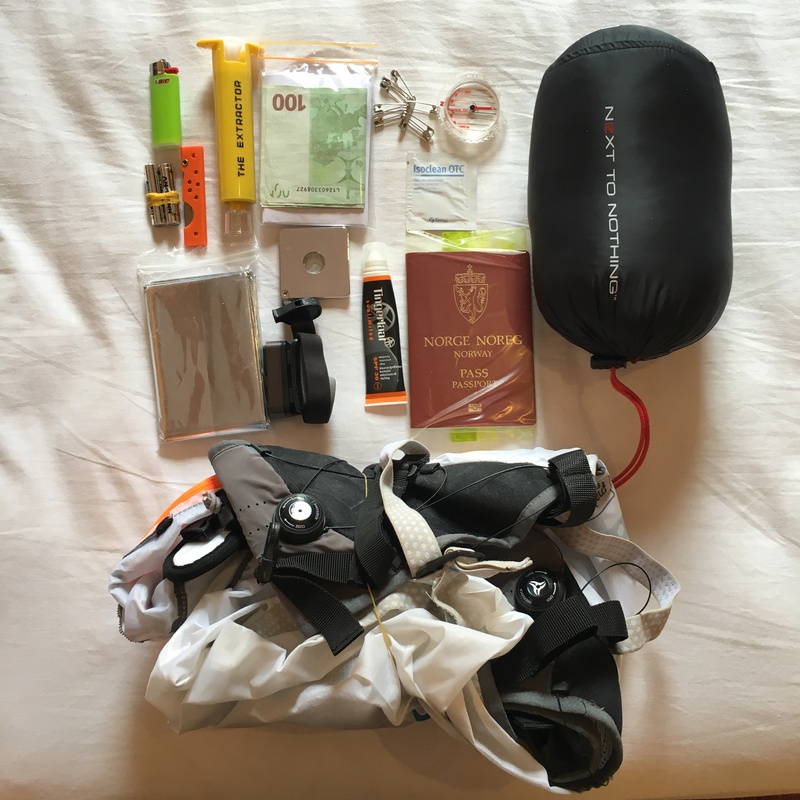 My mandatory equipment: I had a backpack from Raidlight (400 grams). The rest of the mandatory equipment was also super light, so I ended up with 970 grams. The sleeping bag from Yeti worked perfect! 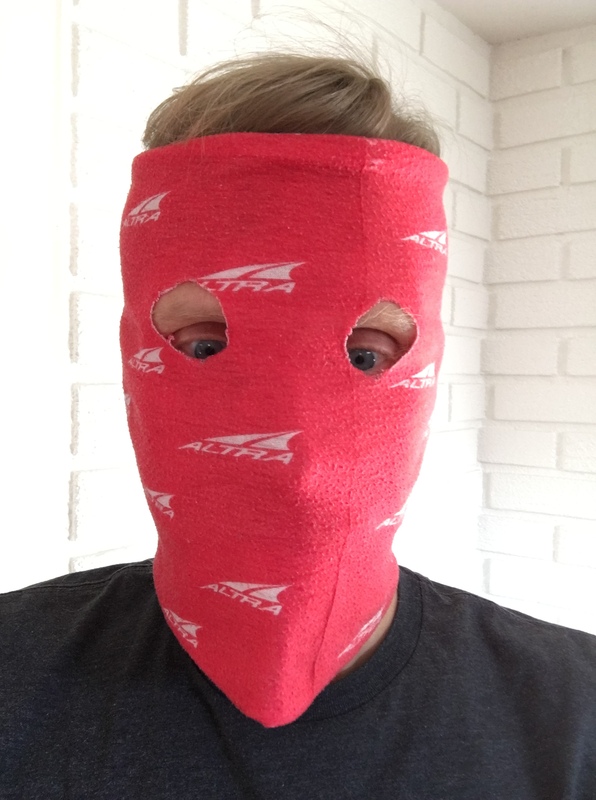 A «buff» is an important part of my desert-running kit list. It can be used for washing off your dirty feet, as a hat during cold nights or a face-mask in case of sand storms. With a buff like this and a pair of sunglasses, you’re well protected from the sand. I got the confirmation from the MDS-organisation in the beginning of December 2015. Training for the event started just before Christmas, as I needed a little break after a long season of training and racing (I finished fourth on the Ultra-Trail World Tour in 2015). 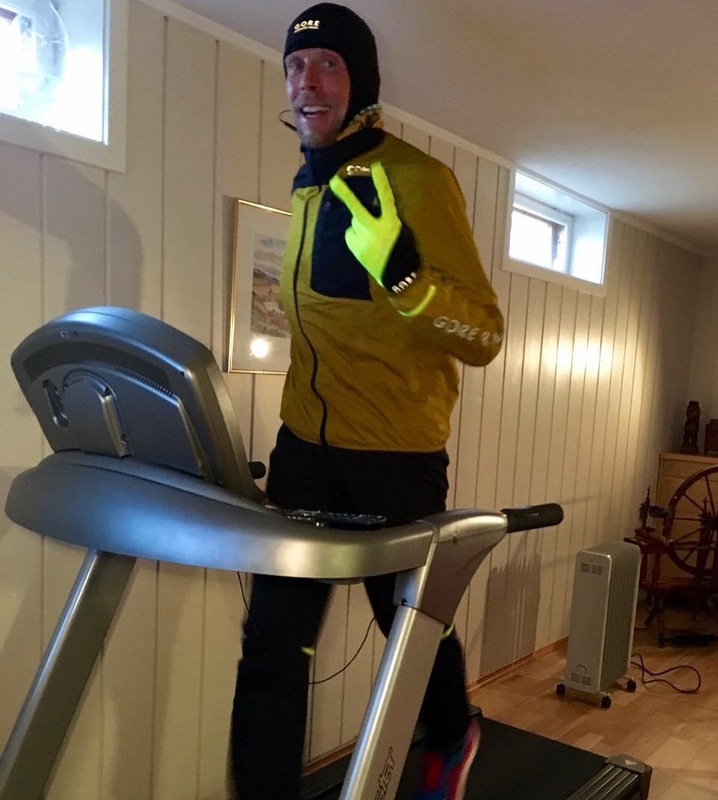 Since, Christmas, I have been running between 100 and 230 kilometres per week in preparation for the MDS. I have also done some races, like a 50 km on New Years Eve and a three day event in the middle of January (26km + 44km + 80km). I was very pleased with winning both those races, even if the competition wasn’t super strong. In addition to the races, I have also spent four weeks running on Gran Canaria in Spain and one week in Morocco in February. In addition to the running, I have also tried to acclimate my body to the heat. During daytime, the temperature in the Sahara can reach 40 degrees celcius. Since I live in Norway, I’m absolutely not used to an environment like that. So, I have done a handful of runs on my treadmill with multiple layers of clothes and also been sitting in the sauna. Running in the basement with six layers of clothes is HOT. I used a prototype backpack from Raidlight. I felt that the Raidlight pack was a little bit too small, so I added a front pack. This worked perfect! Thanks to my buddy Ståle for helping me customise the pack. And also Raidlight for letting me use their pack! Photo: Dino Bonelli. Altra Paradigm 1.5 with Raidlight gaitors. I glued the gaitors to my shoes. Worked perfect! Doing it this way saves you 60 grams. 60 grams X 260 kilometres is a lot of steps and a lot of kilos saved. Below, you’ll find the details of my MDS gear. 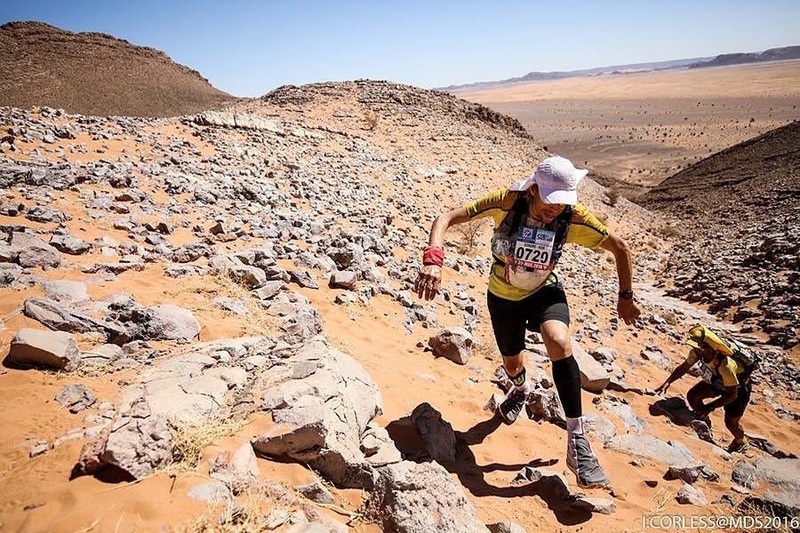 Ultra-Trail World Tour and the MDS organisation for covering the entry fee and travel support. Simple Hydration and Sport 1 Storgata for their support. 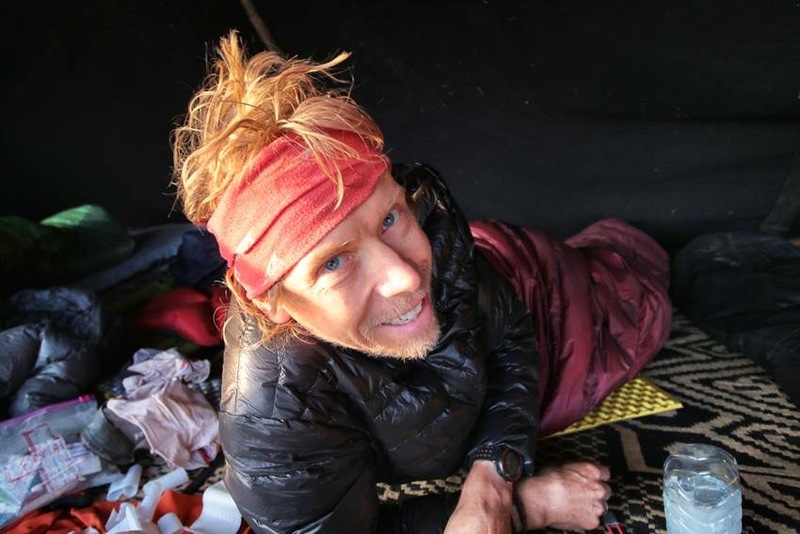 Ståle Møller for helping me with the backpack, my tent mates in the desert, Elisabeth Barnes/myracekit.com for good advice, my coach Ian Sharman and last but not least; my wife and my family! 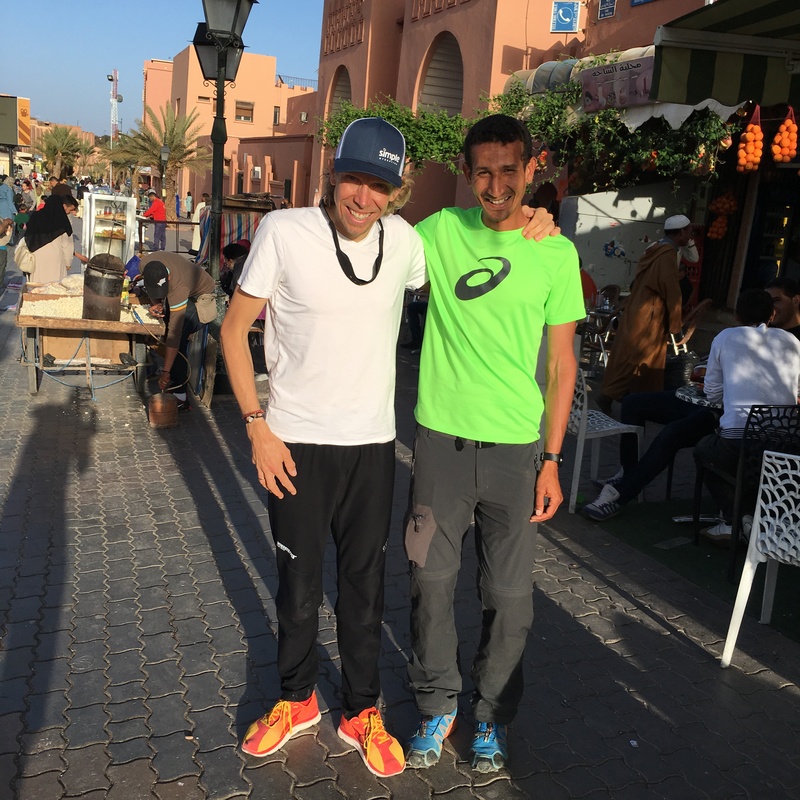 With Samir Akhdar in Ouarzazate before the race. ← Liss vant coaching mot EcoTrail Oslo! 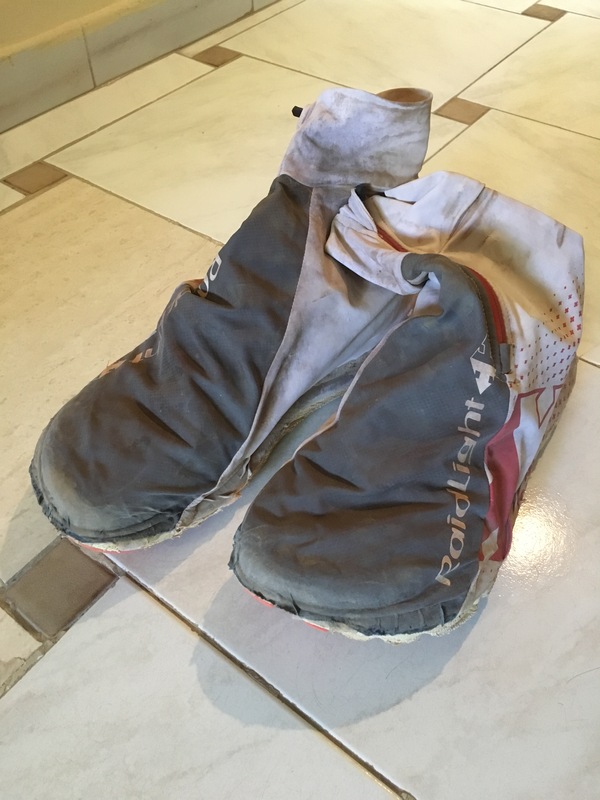 I run with Tailwind, but have not done a multi stage race with it. Only 50kms and a 89km race. How did you work out how much Tailwind to take with? Which glue did you use to attach your gaiters to your shoes? I’m using Tailwind in addition to bars and nuts and Snickers during the race. 50g per day. Use a contact glue with neoprene. It’s relatively easy to find.